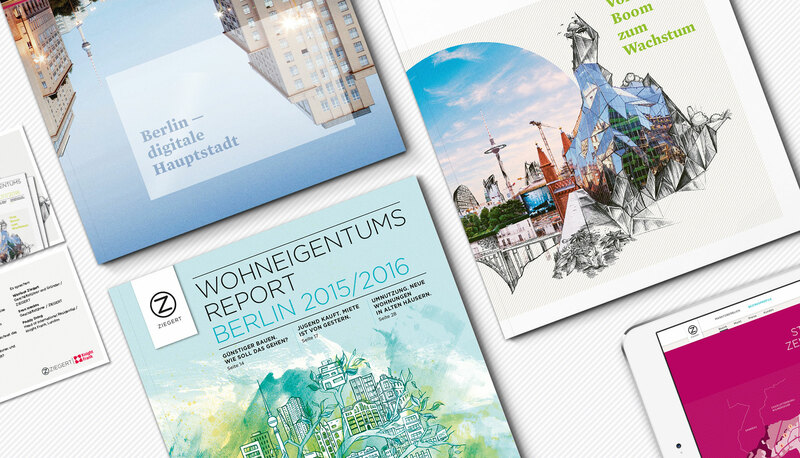 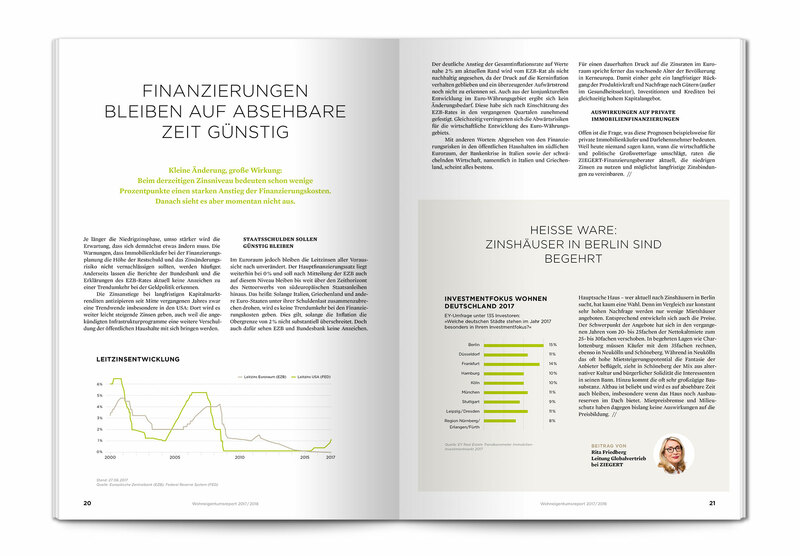 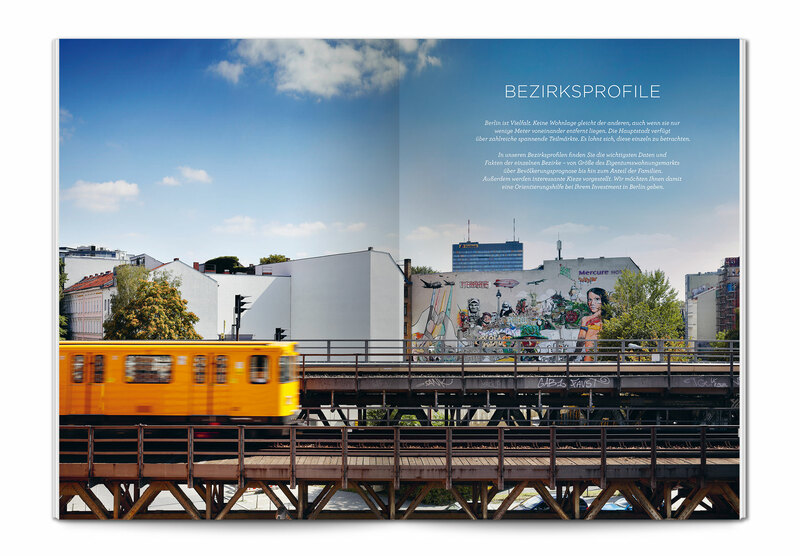 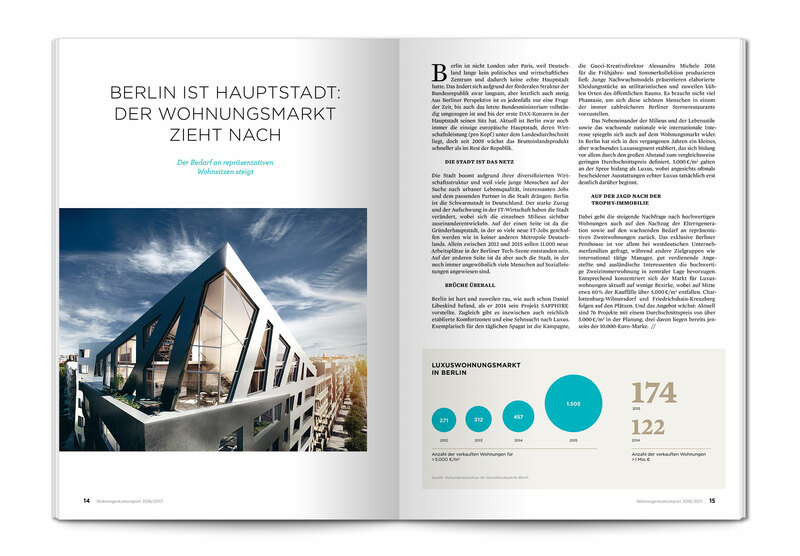 Every year the real estate consulting agency ZIEGERT publishes the Condominium Report for Berlin (Wohneigentumsreport Berlin). 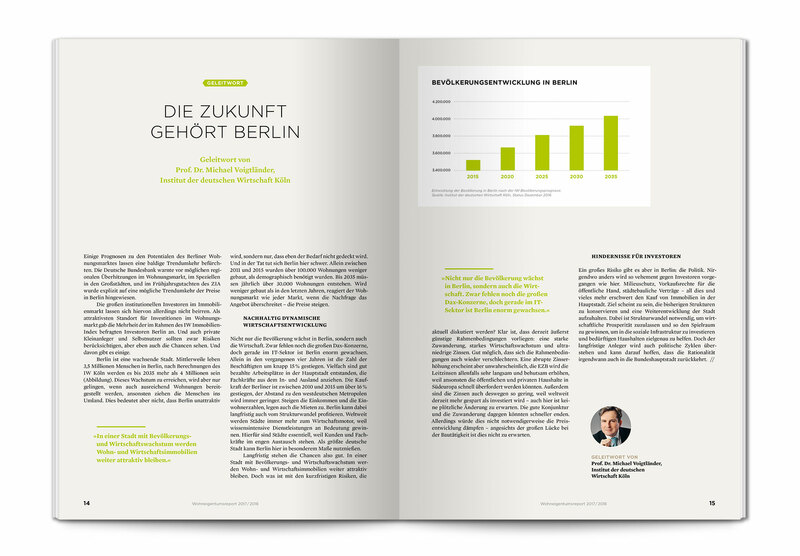 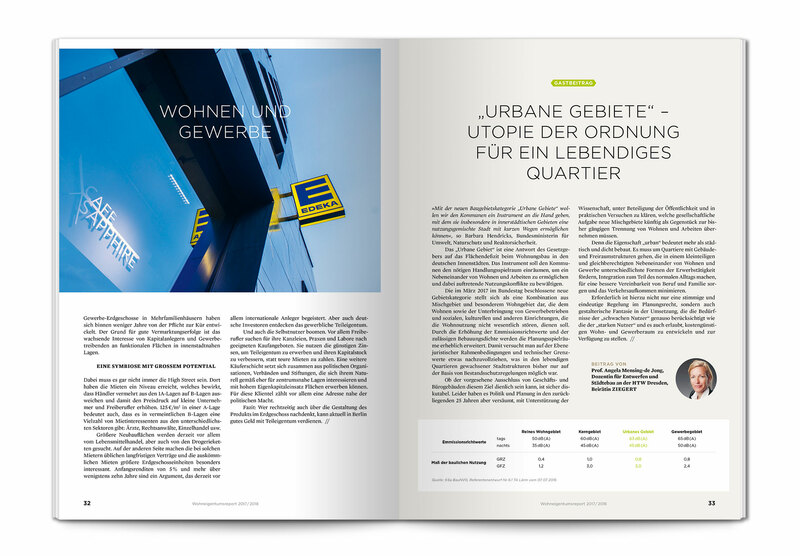 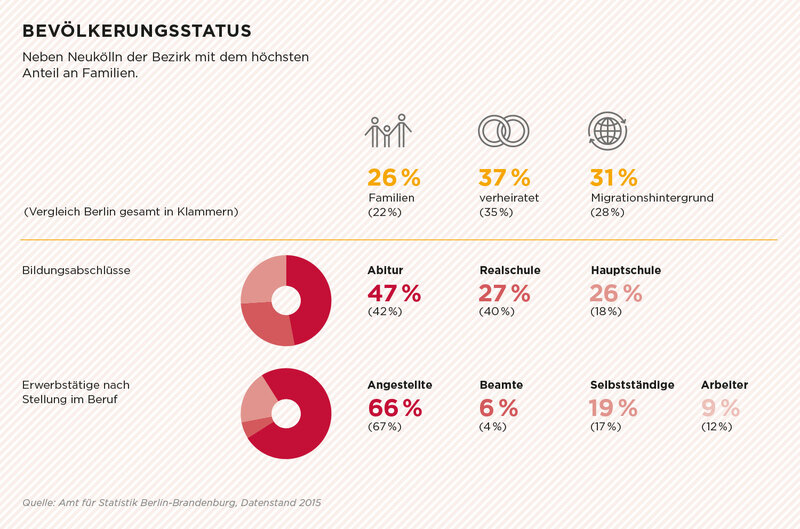 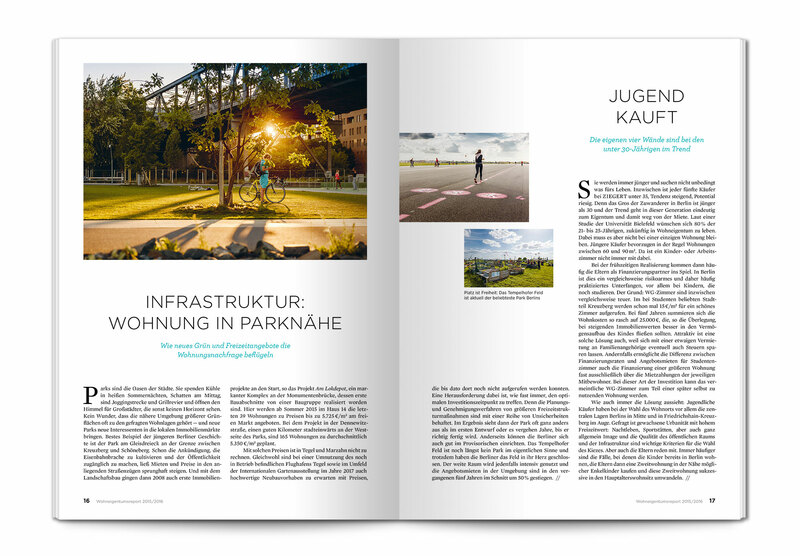 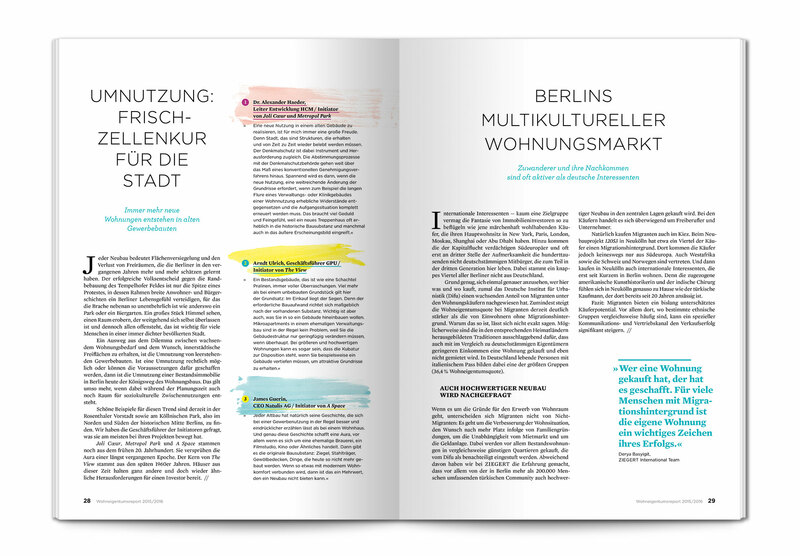 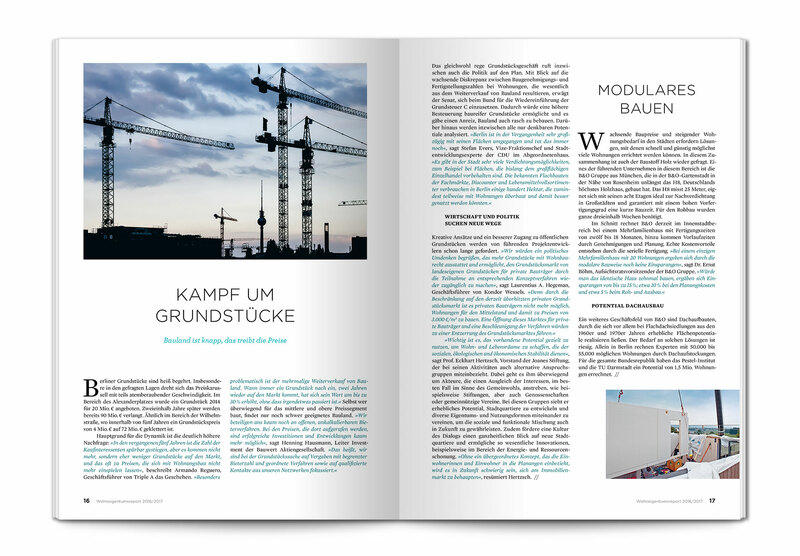 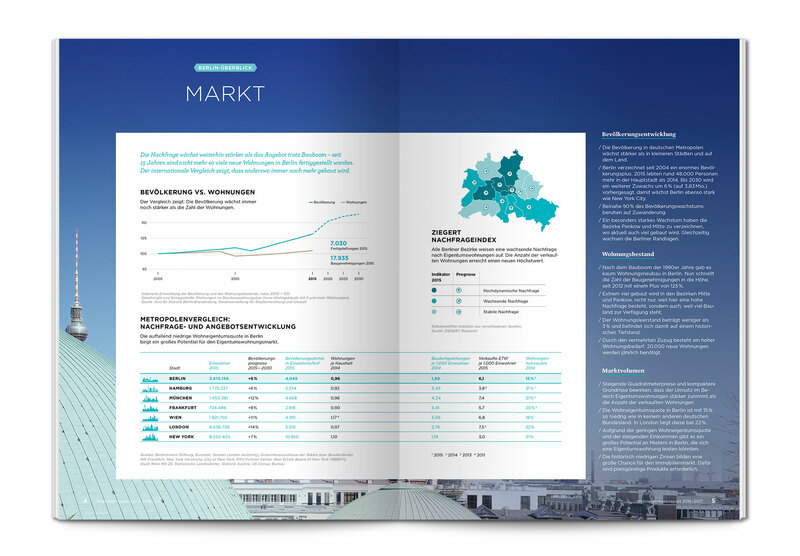 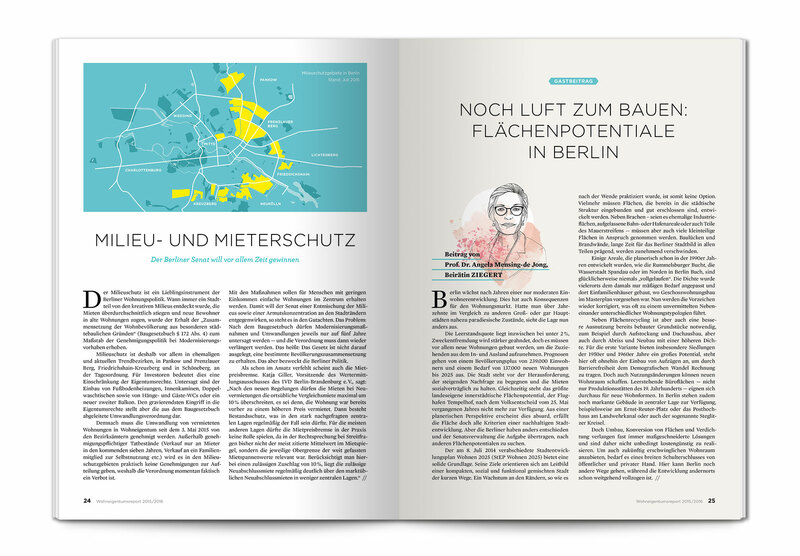 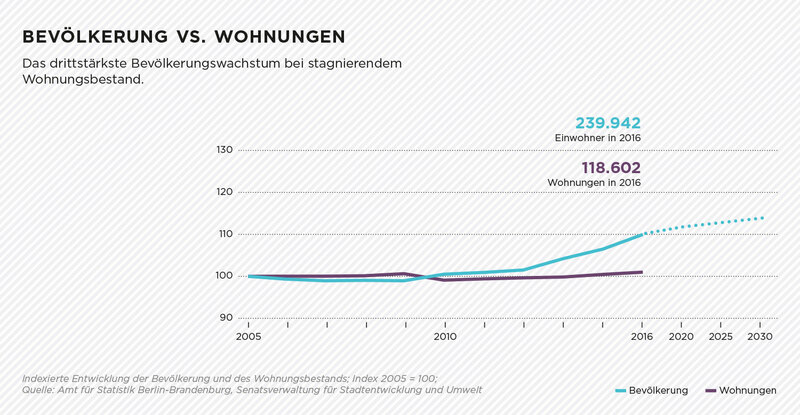 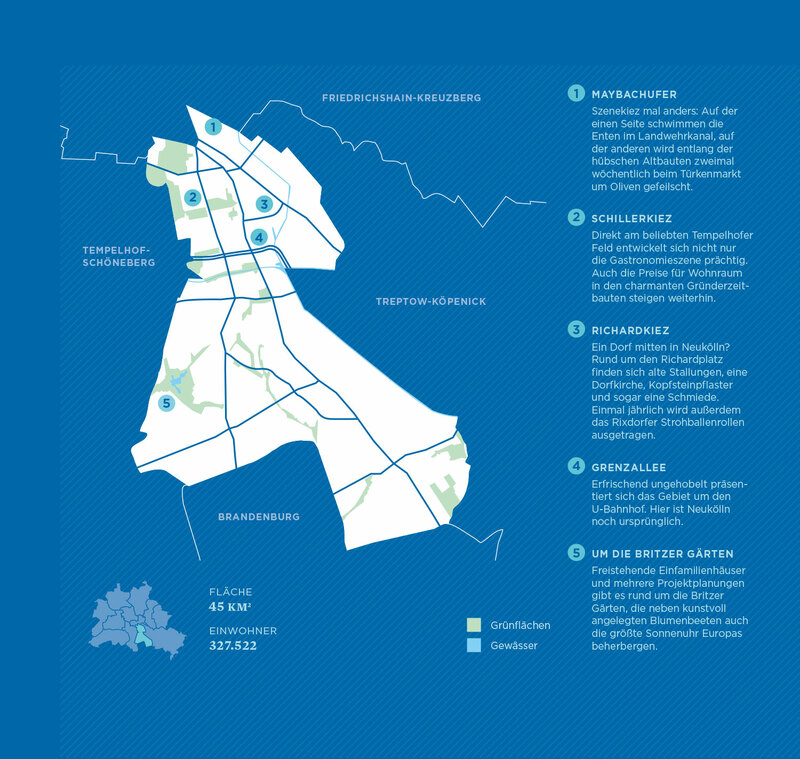 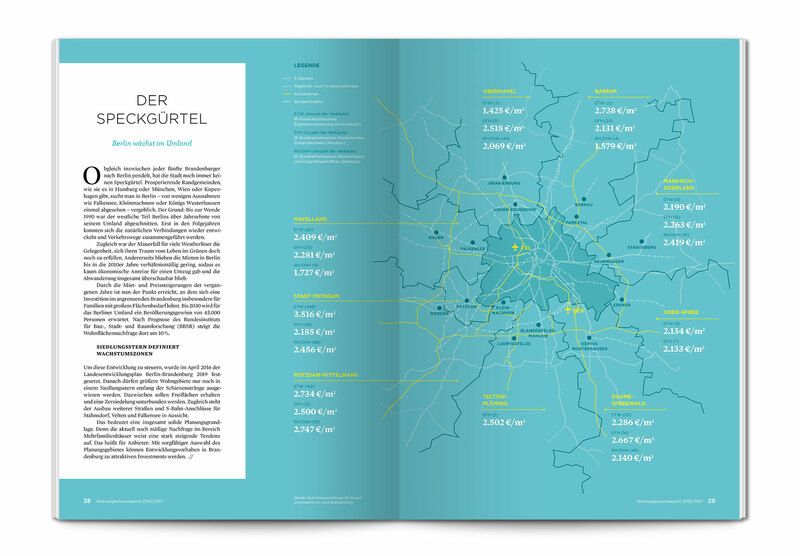 The report gives an insight to the development of Berlin’s property market and also forecasts upcoming trends. 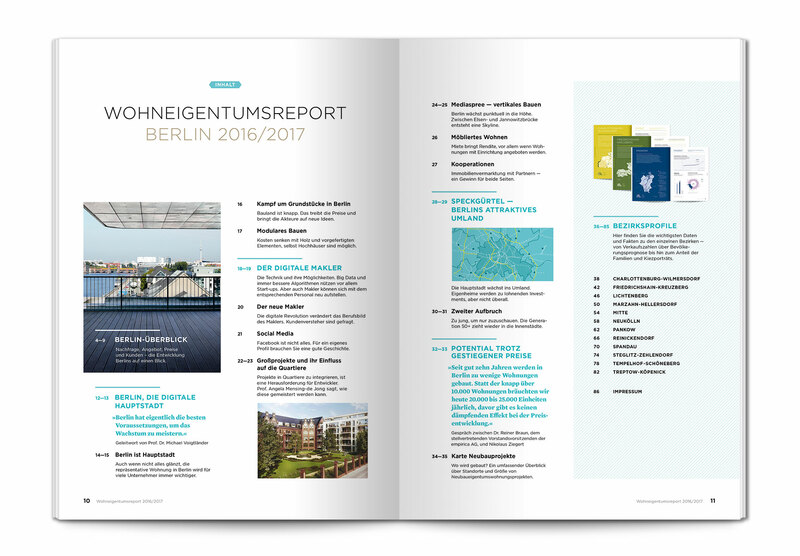 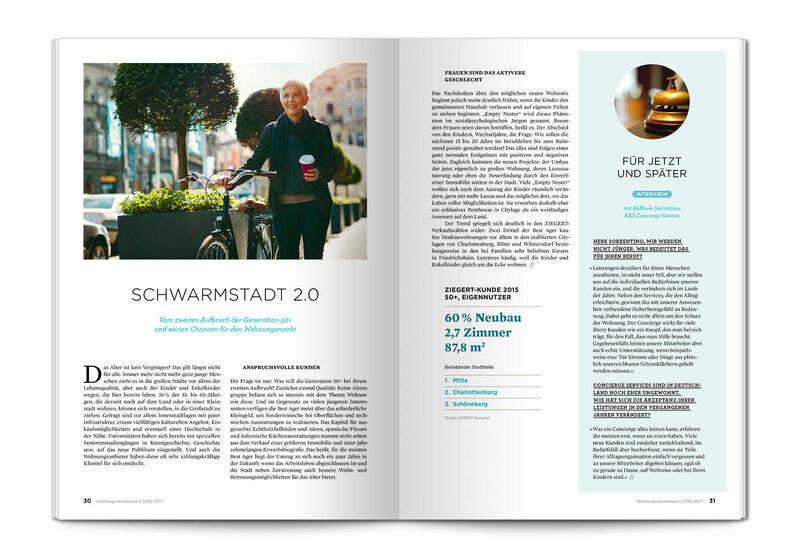 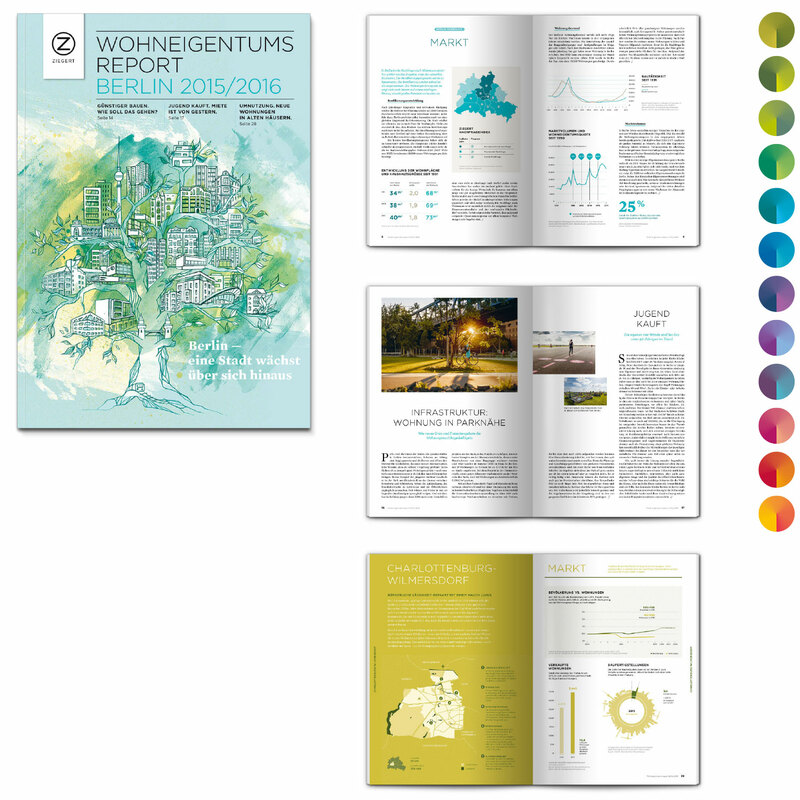 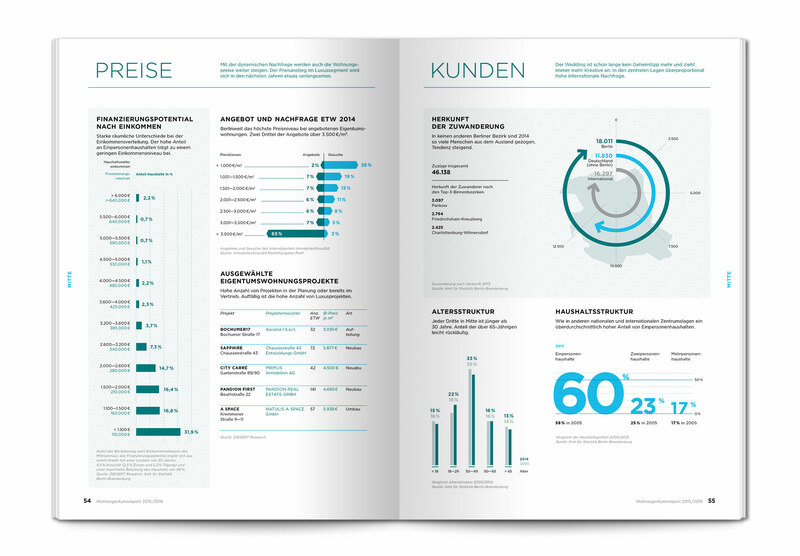 In 2015 minigram was asked to redesign the report. 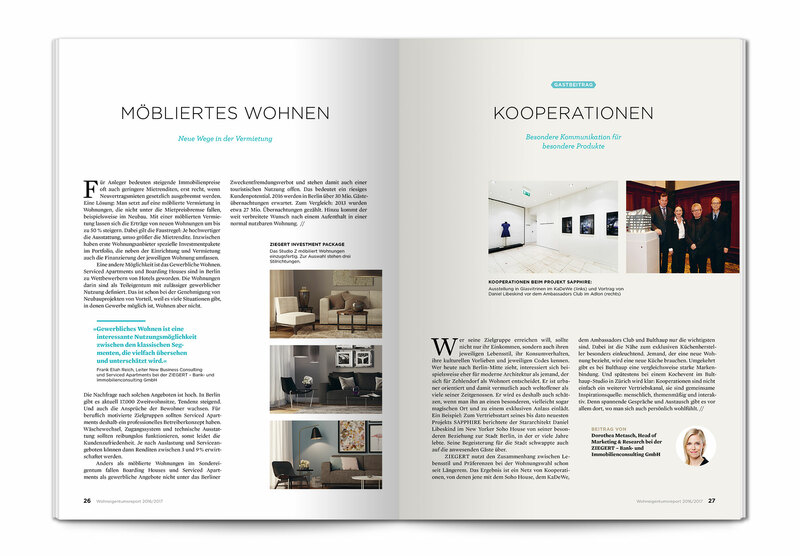 The task was to give it a contemporary magazine look, to make it reader friendly and more enjoyable to use but at the same time to keep some of the recognisable design elements. 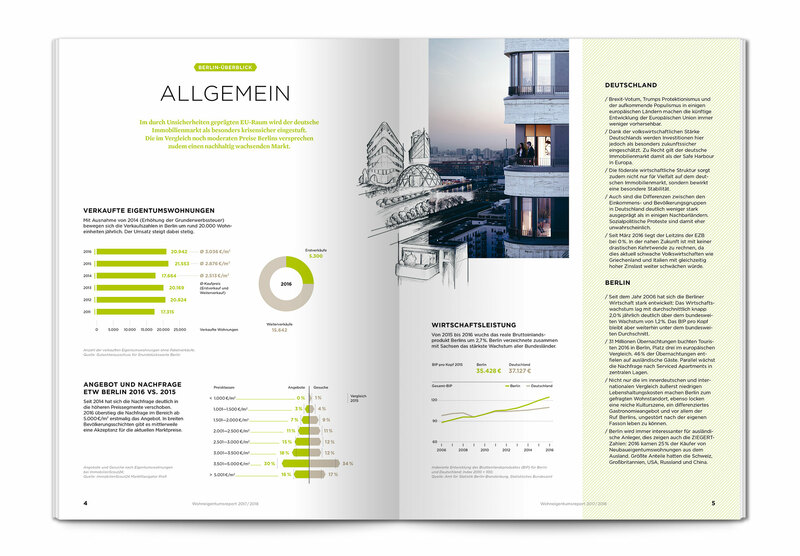 As Design Director I led concept development, team and external creative management, and create and produced the report. 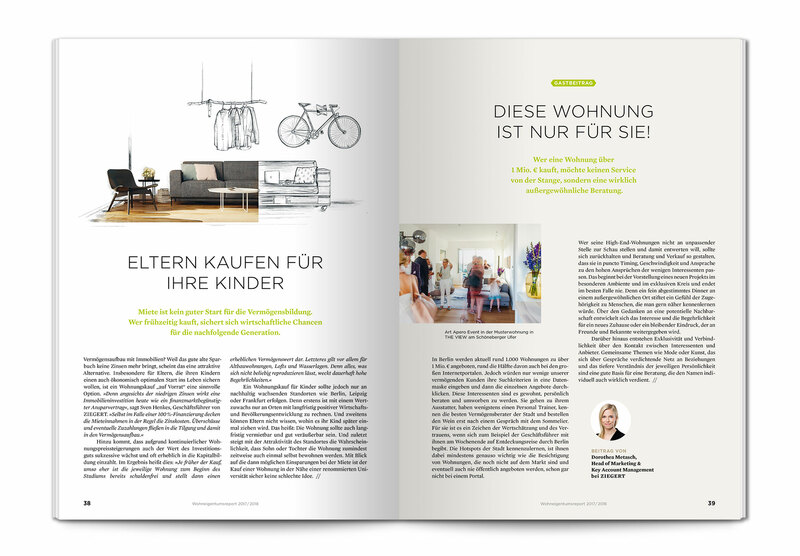 The redesign was a success with ZIEGERT and their clients being very happy with the results. 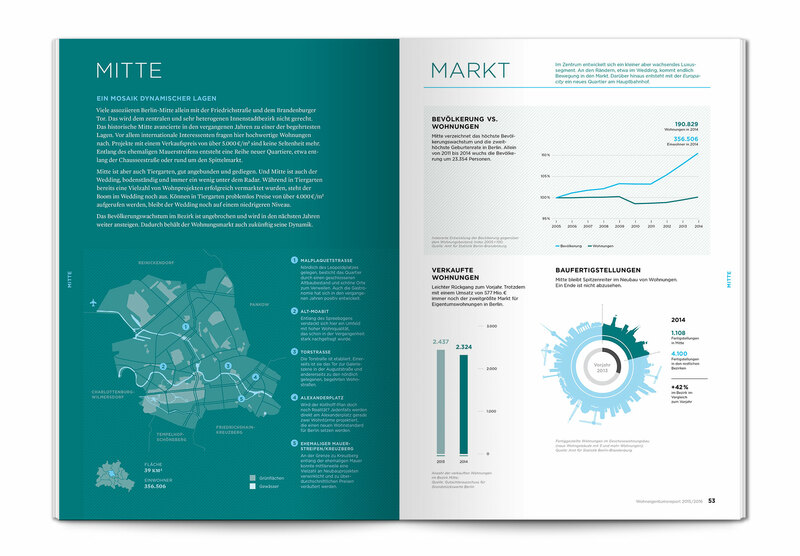 In the role of senior designer and later design director it was on me to develop the concept, to redesign the report and to manage a team and external creatives. 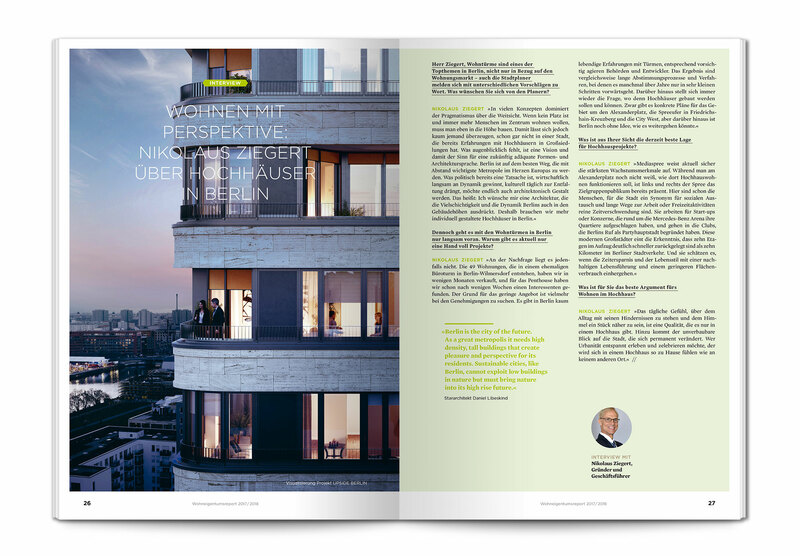 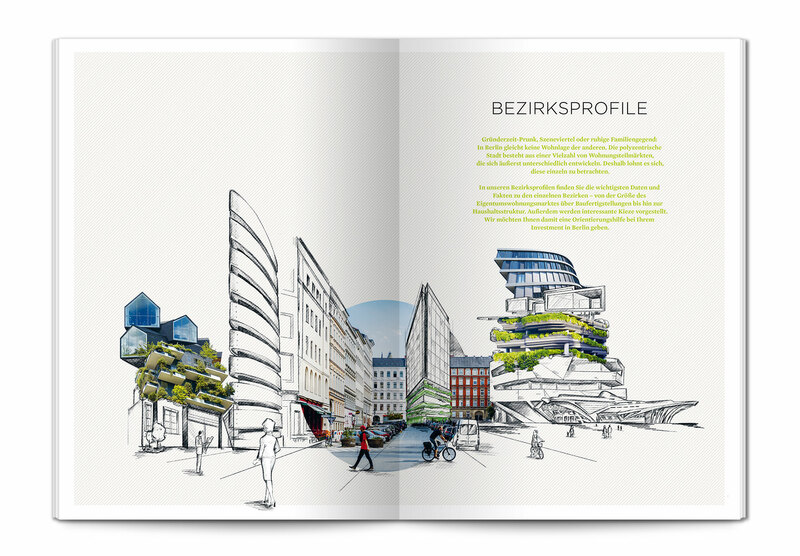 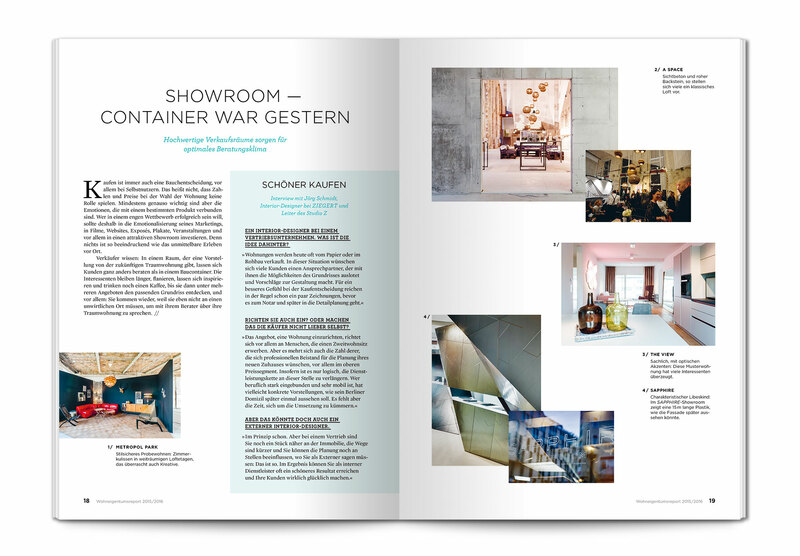 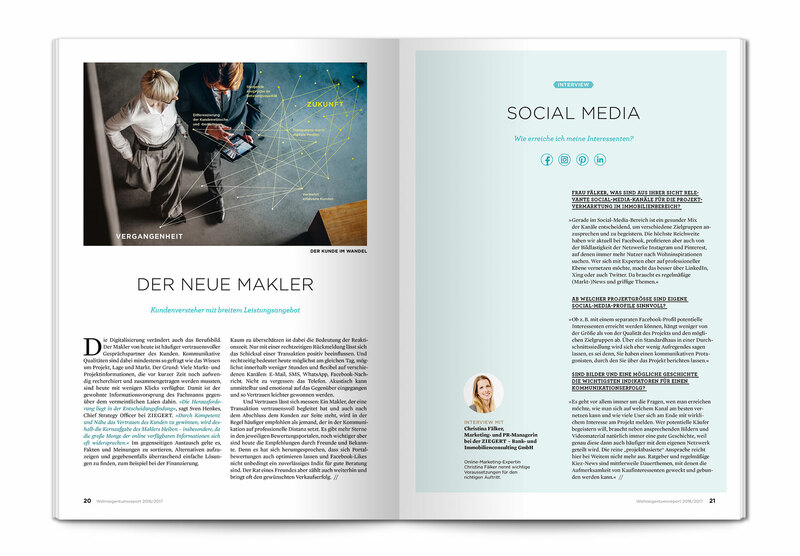 As ZIEGERT and their clients are very happy with the results the redesign was a full success. 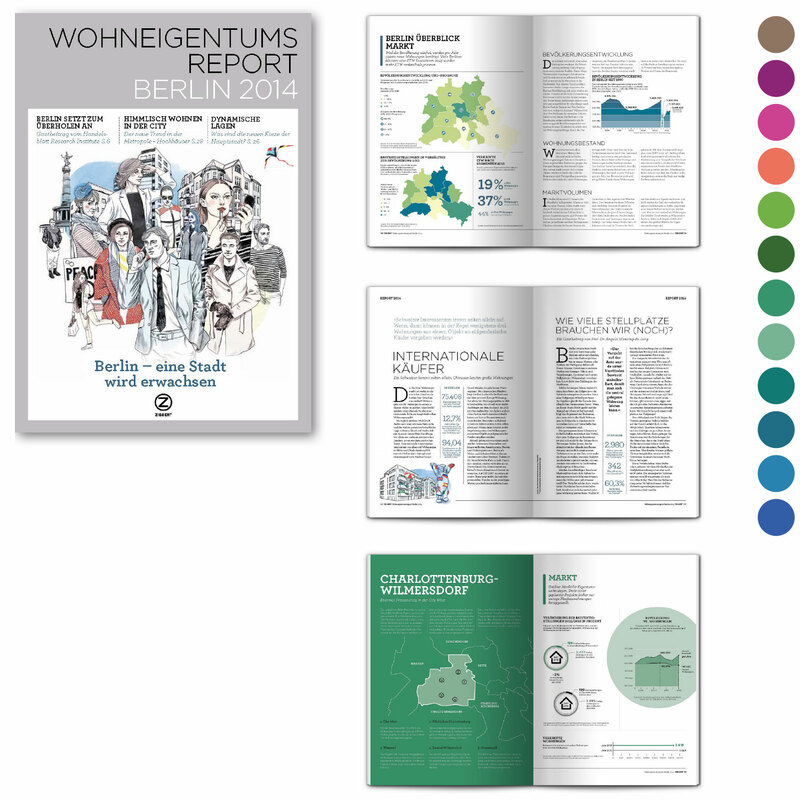 The redesign focused mainly on the information graphics. 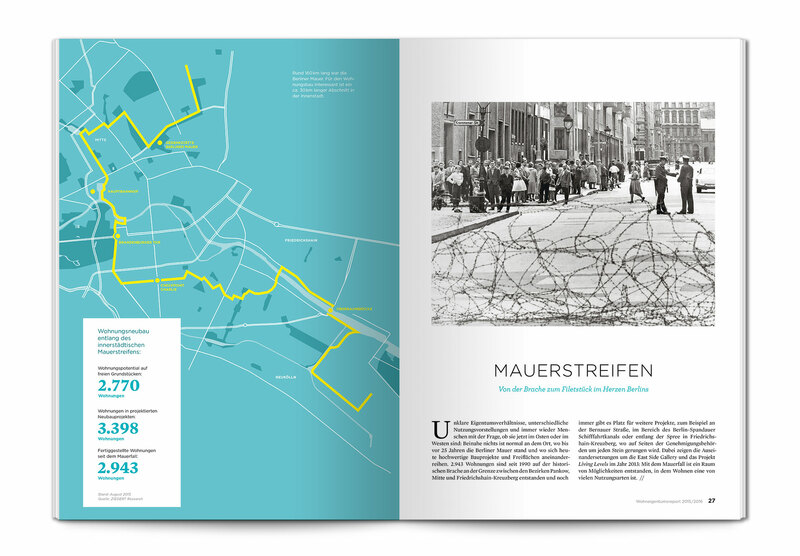 They had to become enjoyable to read and yet still be taken seriously. 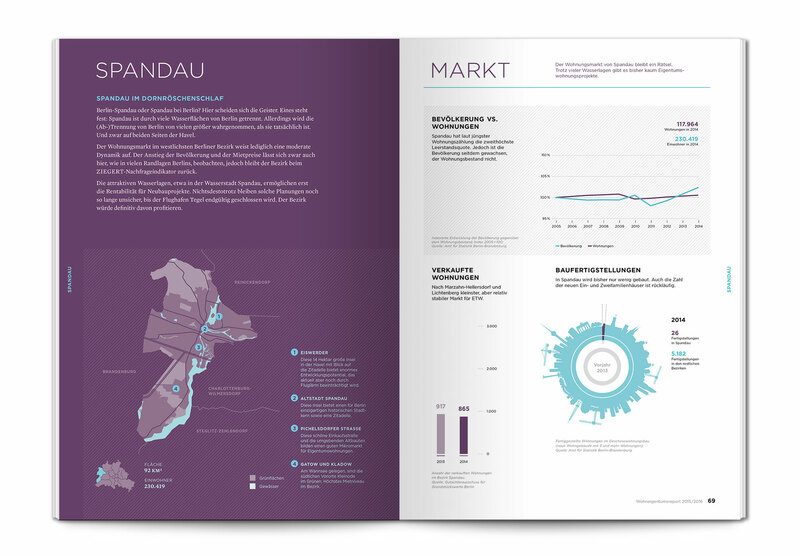 A new color system and grid, as well as new maps and diagramms where needed. 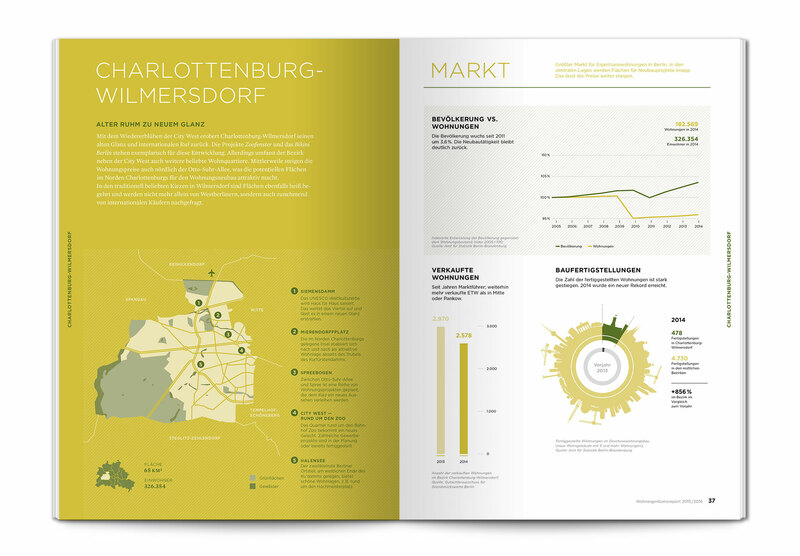 The focus of the redesign was on the information graphics. 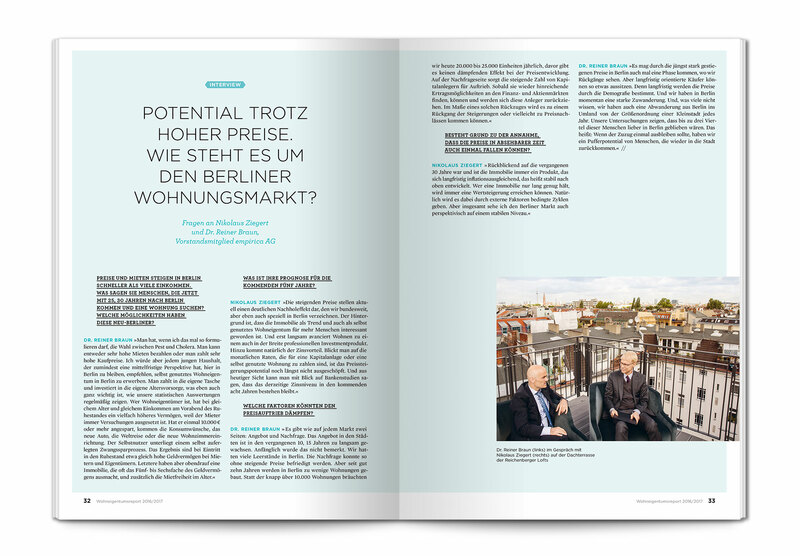 They had to be enjoyable to read and yet to be taken seriously. 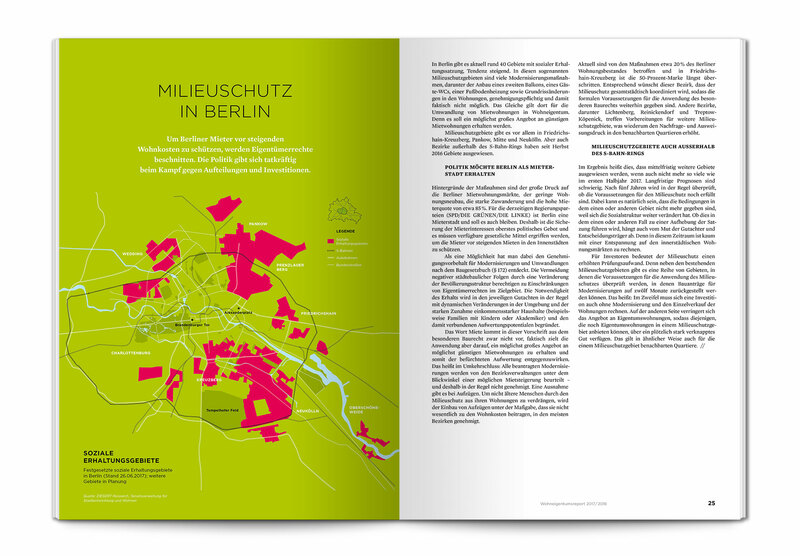 A new color system, grid, maps and diagramms where needed.